Bella Swan Stephanie Meyer's Twilight book series and its associated movies has rich, dark brunette hair in long, loose waves. Her hair flows to her mid-back, and it is thick and luxurious. While it is instantly glamorous, she does not wear elaborate hair styles or accessories, preferring instead a simple, carefree look without a lot of fuss. This makes it easy to replicate Bella's hair looks with your own locks without needing elaborate preparation or hours of styling time. While Bella's hair is long, you can create her styles with shorter hair or you may choose to use hair extensions or grow you hair longer for a more authentic look. Start your Bella look with a tapered cut, with the sides of your hair slightly shorter than the mid-back locks. Avoid bangs, but a few layers can help your style stand out. Bella's hair is a deep, rich brunette shade with very subtle undertones. If you don't already have dark hair, you can consider dyeing your hair and adding hair lowlights shades to the mix for a richer color. Avoid hair highlights, however; since Bella wants to spend as much time as possible with Edward, she rarely goes into the sun and does not have a sun-kissed hair color. Bella has naturally wavy hair, and it is easy to get those curls yourself even if your hair is pin straight. Use a large barrel curling iron and work with small sections of hair, starting with the lowest layers. 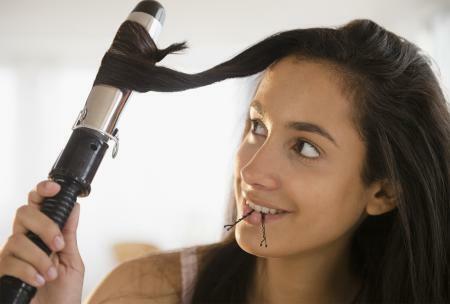 Wrap each section at first horizontally along the barrel, then rotate it vertically to wrap the length of the hair. Once curled, comb the hair gently with your fingers to blend the curls together without loosening them entirely. If your hair is too fine to hold curl well, work with slightly dirty hair that hasn't been washed in a day or two for better results. Bella's everyday hair style is simple and loose. Part your wavy hair in the center, and let the curls tumble down your back. Pull small sections over your shoulders to frame your face if desired. 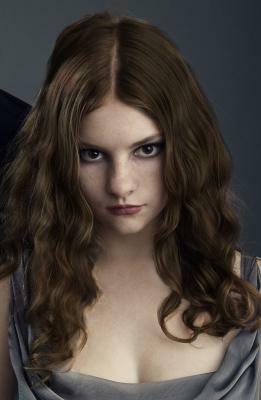 For a school look, Bella often wears a thin headband to keep her long locks pulled out of her face. Choose a thin band in a dark brown or black color so it doesn't stand out drastically from your hair, and pull it back at your temples without stretching the hair tight across your forehead - instead, leave a small puff of volume at the front of the hair. Fluff out the curls around your face, and you're finished with this simple style. Another easy everyday hair style Bella frequently wears is a messy ponytail. Pull your hair back at the back of your head into a plain elastic band, and fluff out the curls to add volume. Just as with the headband look, however, do not pull the hair tight to your scalp. 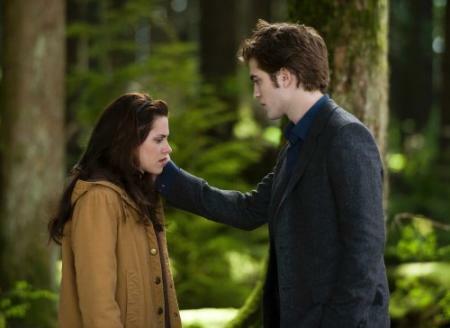 In fact, Bella frequently leaves a few strands at the front loose to frame her face, but don't overdo them. Bella's prom hair style is simple yet elegant. Wear your wavy hair thick and loose, parted in the center. Take small, 1-2 inch sections from each side of the front and twist them slowly while pulling them back. Just above your ear, pin the twisted locks back with bobby pins, then push the pinned sections forward slightly to give the front of your hair a touch of volume. While Bella uses plain bobby pins for this style, you can choose a jeweled clip or other glittery accessory for more sparkle if you desire. From her simple everyday styles to chic yet romantic prom look, Bella Swan hair styles can be easy to replicate. With just a bit of practice, you can easily have romantic Twilight hair to enjoy.